So much has been written about San Francisco. Too much? I don’t think so. San Francisco has such a big character, ever evolving, but still true to it’s beautiful Victorian roots, that there could never be enough written about it. San Francisco is always one step ahead of the game. The first time I stepped in this city (the summer of 2013), my friend and I parked in the cheapest parking garage I could find online. No surprises, this turned out to be in the Tenderloin. I did feel a twinge of hesitation leaving my any car in that garage, but we figured it was better inside the garage than out of it. Also, we had not had time to grasp the full extent of the Tenderloin then (tl;dr : Stay away from this area if you can). Ignorance is bliss, so we were perfectly fine walking out of the Tenderloin to our first destination – the Ghirardelli Square. Tourist Trap #1. We loved it though. Fortunately (unfortunately? 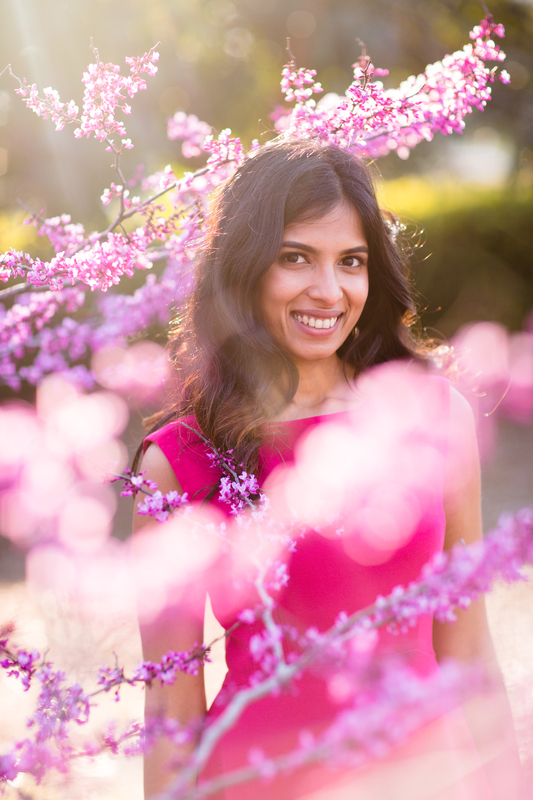 ), I left my 22 year old self behind four years ago (kicked both the bangs and the sugar addiction), and have now been to the City a few times, each time discovering something new and exciting, each time wondering when I would actually take the plunge and move there, since it tugs at my heart strings so. Time has a funny way of moving much faster when looking back at it than it does when you look forward, and so I cannot believe that it has been almost four years since I first discovered San Francisco, and I have yet to live there. For now, it is only an hour and a half plane ride away, which is not too bad, all things considered. Based on my last visit to SF earlier this month, I have curated a few gems for your San Francisco vacation. I hope you take some time to check them out along with the typical tourist itinerary of Pier 39, Ferry Building, Ghirardelli Square, the Golden Gate Bridge, a cable car ride etc, etc. A good breakfast is the foundation for a good day. However, “good” is subjective, so I have a healthy option, and a couple of not-so-healthy options. Chocolate Croissants are my #1 guilty pleasure, but recently I have become partial to Almond Croissants as well. You cannot go wrong with the ones at Tartine Bakery, in fact, visit Tartine Bakery even if you don’t like croissants, because it smells of fresh bread, the cakes look delectable and their coffee is on point. They even sell their own cookbooks! Of course, be prepared to stand in a line, as pictured here. I think there is a line at most times of the day on weekends. Tip : Skip the chocolate croissant here. 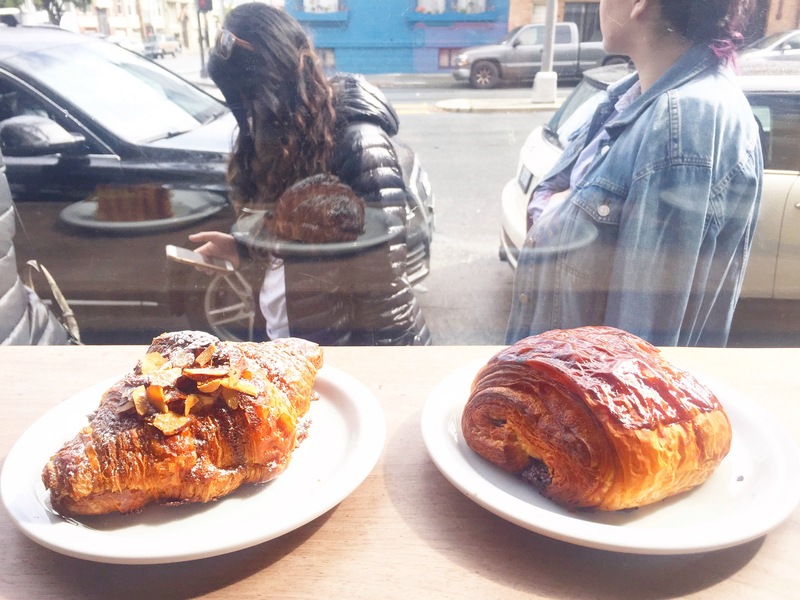 Mr Holmes has quickly shot to fame either because of its cruffin (delicious hybrid of croissant and muffin), or because of its instagrammable “I Got Baked in San Francisco” sign. Either way, it’s worth standing in line for these cruffins at least once. They arrive at 9 am, so make sure to be in line by 8:45 am, the line only gets longer till the cruffins sell out. 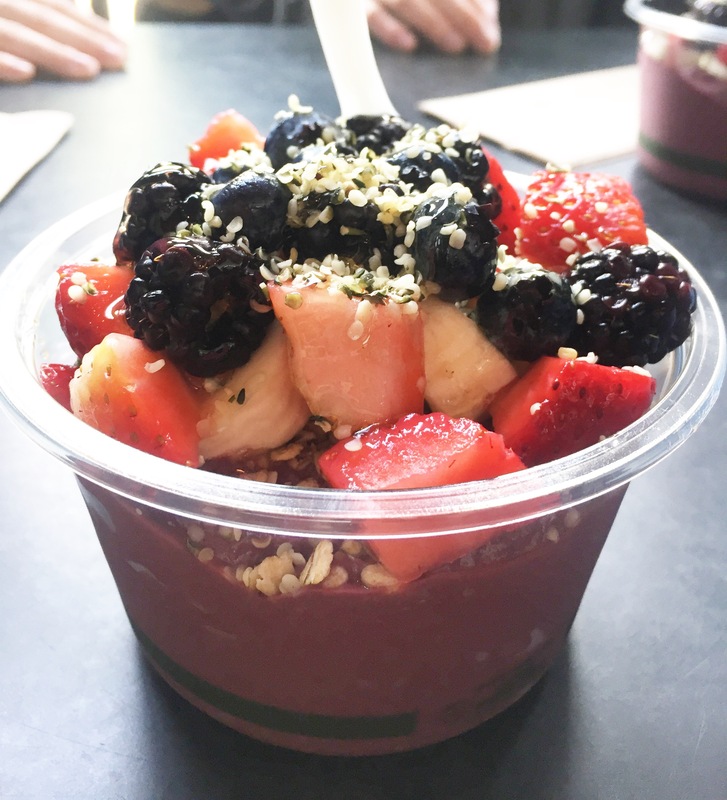 Start your day with a super healthy and delicious Acai Bowl at Basik Cafe. It’s dripping with the goodness of berries and granola, make sure to add the extra blackberries! This is especially awesome on a hot (well warm because this is San Francisco) summer day, but it also works on a cold, windy, rainy day as well (trust me, we stood in line for this in the rain). In my opinion, the best cappuccino in SF can be found at Jane on Fillmore. If the coffee shop decor is not enough to entrap you, the cappuccino, and perhaps the pastries definitely will. 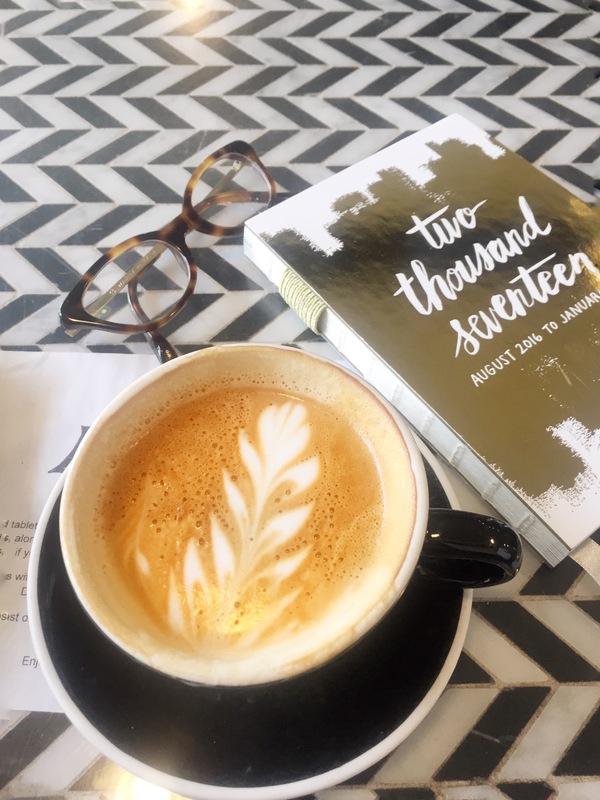 I also loved the feel of the place, which was perfect for working on your laptop, to casual conversations and even to a solitary coffee with a book. In good weather, it would be nice to sip your coffee outside on their benches and enjoy some old-fashioned people-watching. 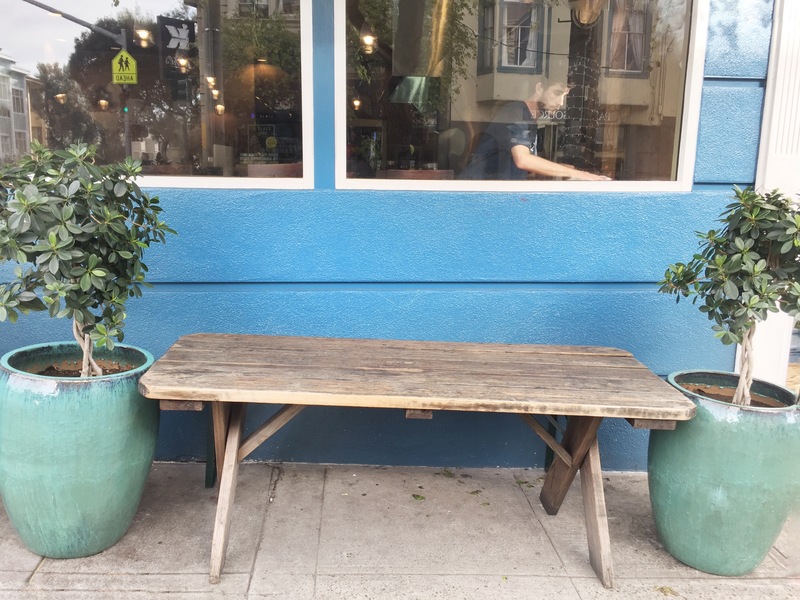 If you are in the Hayes Valley area, this is a good coffee shop to go to. It’s cool and comfortable, and offers delicious cappuccinos. I would stay away from their hot chocolate however. This super cute candy shop is a must visit because it is as pleasing to the eyes as to the taste buds. Their macarons are fresh and yummy, and not too sweet, which I loved. They also don’t use food coloring, so you can experience the real taste of the macarons. My favorite part about Miette : They have a Macaron Happy Hour on weekdays from 6 pm – 7 pm, so you can buy a macaron for $1! This is a steal! While you wait for happy hour to come around, you could grab a coffee from Artis Coffee Roasters (pictured above) because it is a block away from Miette. Bi Rite Creamery is the cutest and most delicious ice cream shop I have been to! It is literally happiness in a cone, and I can testify to that because we walked a few blocks and then stood in line in the freezing rain to eat this. It was worth it! I highly recommend the Earl Grey flavor. This ice cream shop is very close to Dolores Park, so it’s really perfect to grab a cone and head to the park! I think SF is a city made for walking. All those hills and steep slopes…you need never go to a gym! 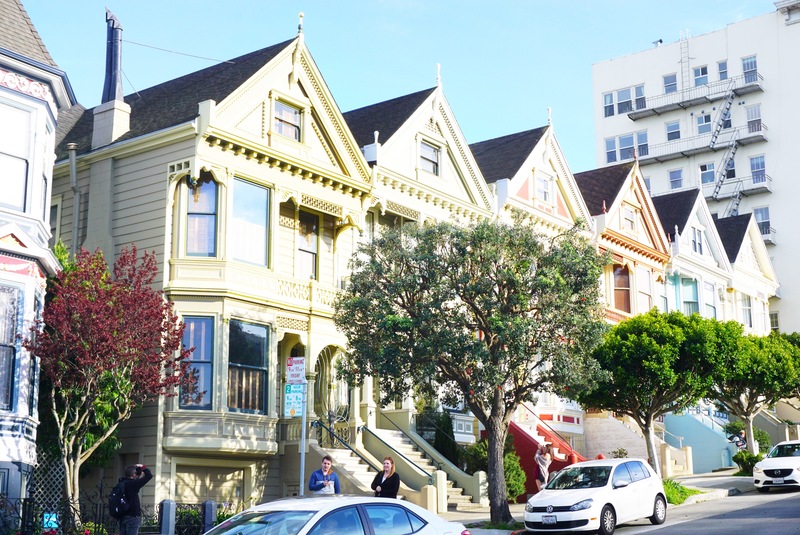 But seriously, if you avoid the Tenderloin area, it’s a lot of fun to just walk the city, and take in all the pretty houses on the way. Also, face it, you need the walk after eating your way through San Francisco! 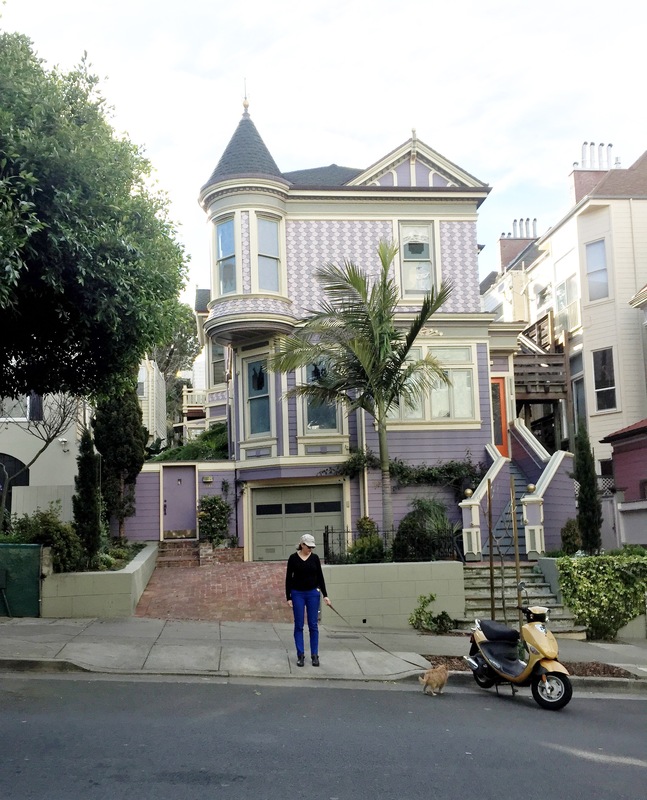 If you want to go see the “Full House” houses, then go to The Painted Ladies. Yes, you can put that into Google Maps and it will take you there. The best view of the Painted Ladies, and SF behind it is from Alamo Square Park adjacent to it (but the park was closed for construction when I visited). Disclaimer : This is super touristy. 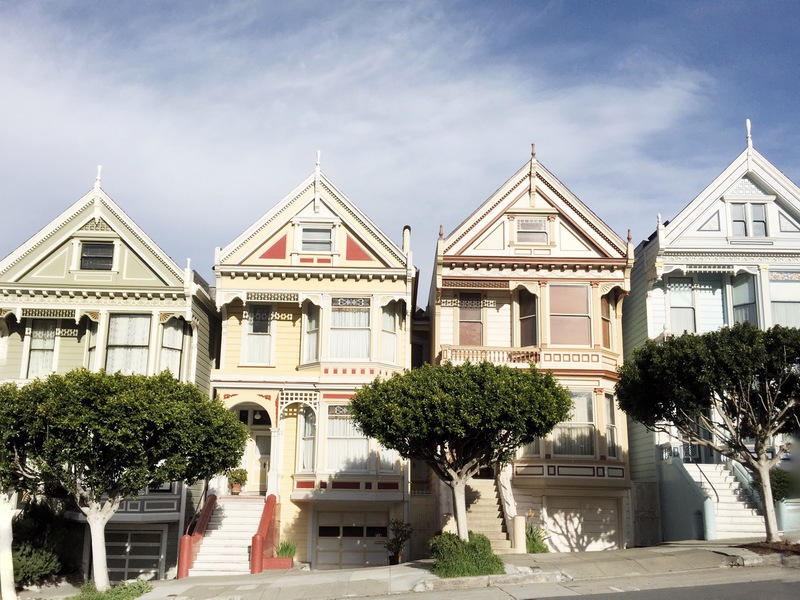 However, my favorite houses were not the Painted Ladies..because they seemed rather “painted”, but the unassumingly beautiful ones in the couple of blocks around the Painted Ladies. So yes, go to the touristy Painted Ladies, but then make sure to walk around them a little bit. You will be so happy with what you discover! 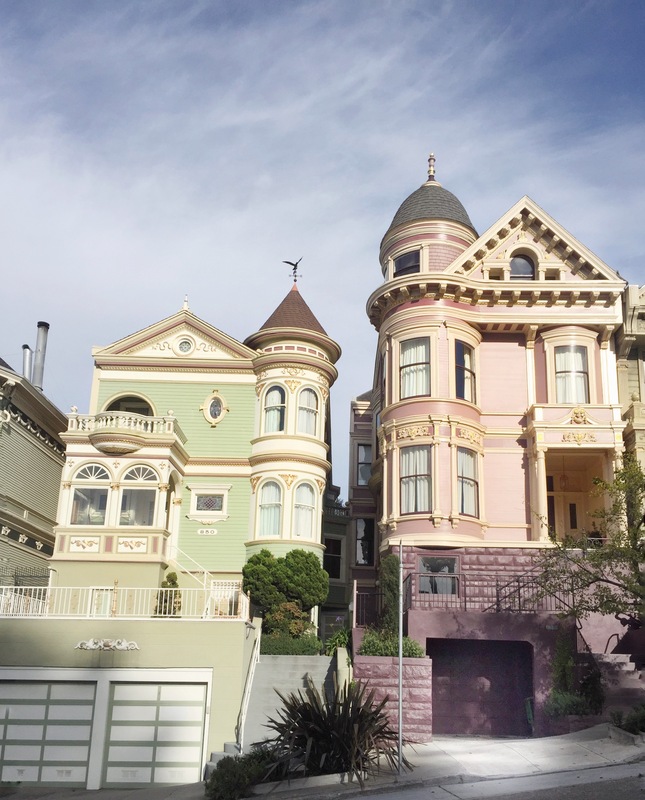 I loved walking around Nob Hill, mesmerized by the beautiful pastel houses. The slopes in Nob Hill can be pretty tough though, so be prepared. Also be prepared for a slow walk because you would want to stop and stare at every other house out there! The Mission District also has patches of lovely houses, but this is an eclectic neighborhood, so you might come across several other interesting scenes, just to liven things up. 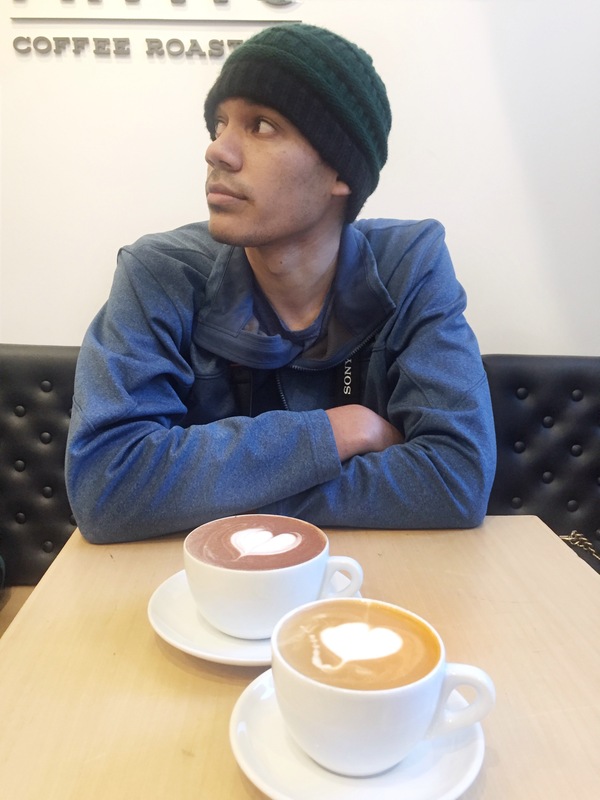 I loved exploring the stores and cafes around here too! Presidio Heights is a swanky neighborhood in San Francisco, with beautiful houses, beautiful sidewalks and beautiful views. If you accidentally stumbled into the Tenderloin, or feel sad after seeing SF’s plentiful homeless population, head over to Presidio Heights to see how the San Francisco’s rich live. 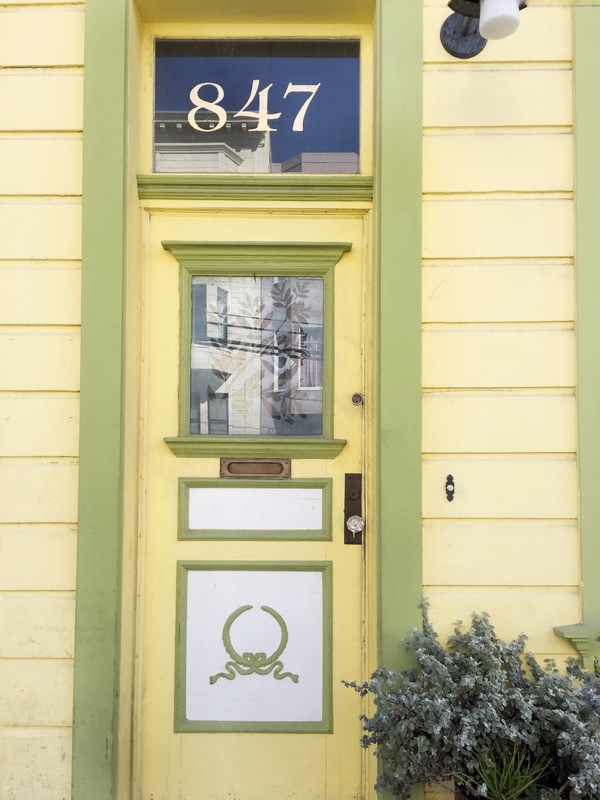 Just like the Mission or Castro districts, this is another SF neighborhood that makes the city unique. When we visited in early March, the spring flowers were just starting to bloom, and so our walk smelled lovely too! I especially loved the sidewalks lined with tulips, it was such a beautiful sight to see them in the “wild”, not just in curated flower fields! I hope they are still there, so head over as soon as you can to see them! 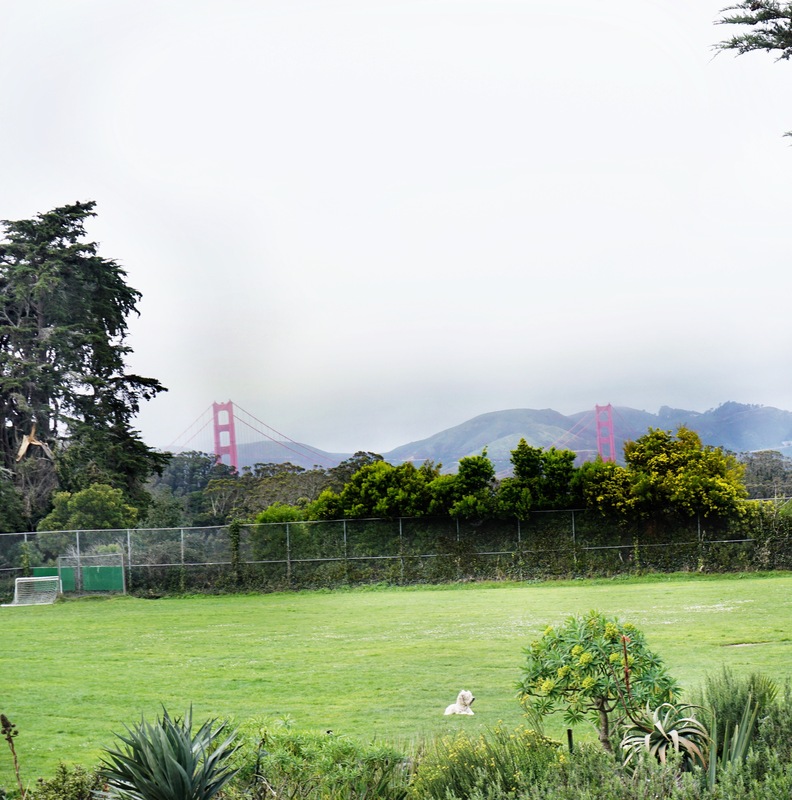 Just as you think that Presidio Heights is too good to be true, you will stumble upon views of no other than the Golden Gate Bridge! Yes, there are houses here that overlook the Golden Gate Bridge, but you can get those same views from the street, don’t despair! Once you finish house hunting, you could head over to the Palace of Fine Arts for more architecture admiration. I love those old bookstores where time seems to stand still, and the air smells of paper. Where books are so packed into their shelves that it is hard to pick one out and then put it back (a sign that you should buy it? ), and where they have comfortable seats so you can stay in a happy cocoon as long as you like. City Lights Bookstore is perfect, and the best part is that there are three floors of this perfection! City Lights Bookstore is an independent bookstore founded by poets, and although we all love Amazon and the convenience of same day delivery – it cannot bring the charm of the old world bookstore to your door. Go visit City Lights, I guarantee you will not be disappointed, and will go back with your bags much heavier than before. Fillmore Street is home to a lot of cute, boutique shops, selling clothes, makeup, coffee, books, children’s toys, you name it and it might be there. I found it fun to just walk around and browse the stores, which are experiences in themselves, not the tired old mall chain stores that you find elsewhere. Once you are on Fillmore Street, don’t forget to grab a cappuccino at Jane to power your shopping! 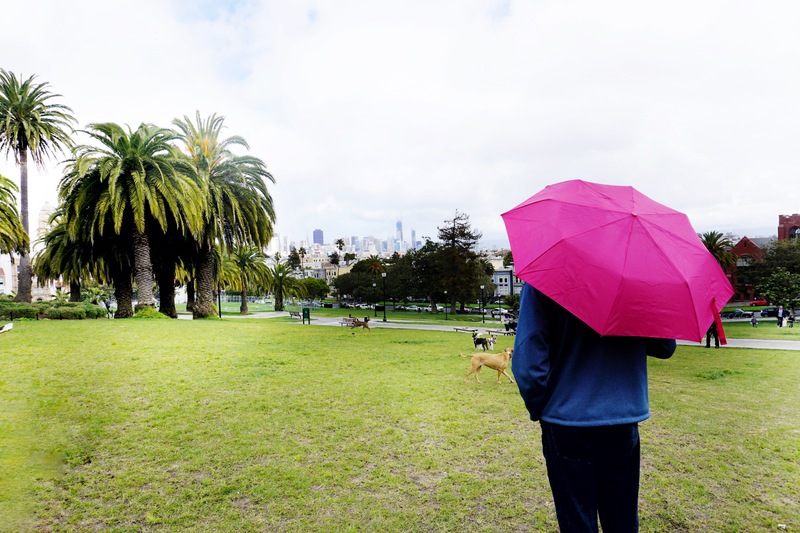 Every big city should have an iconic park, and Dolores Park fits this bill for San Francisco. 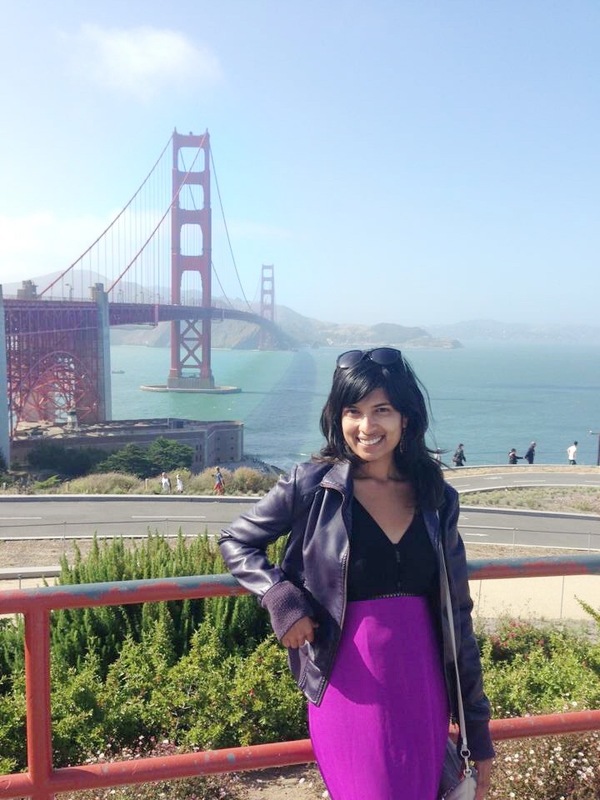 It has an amazing view over SF, and is full of the quirky, energetic spirit of the city. It’s great for picnics, lazing around, people watching, tightrope walking, dog worshiping – every experience at this park is guaranteed to be different. 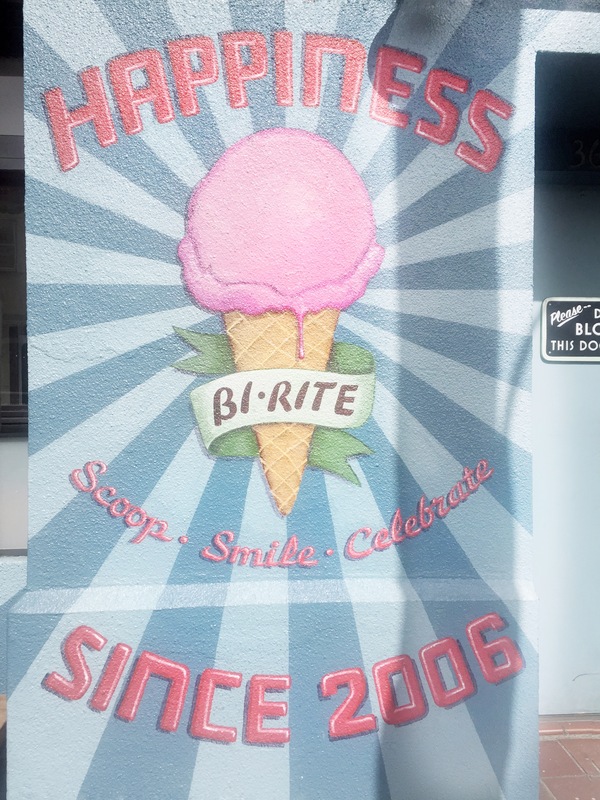 Make sure to stop by Bi Rite Creamery to grab an ice cream cone before or after you head to Dolores Park! Or maybe a breakfast picnic with croissants and bread from Tartine Bakery? 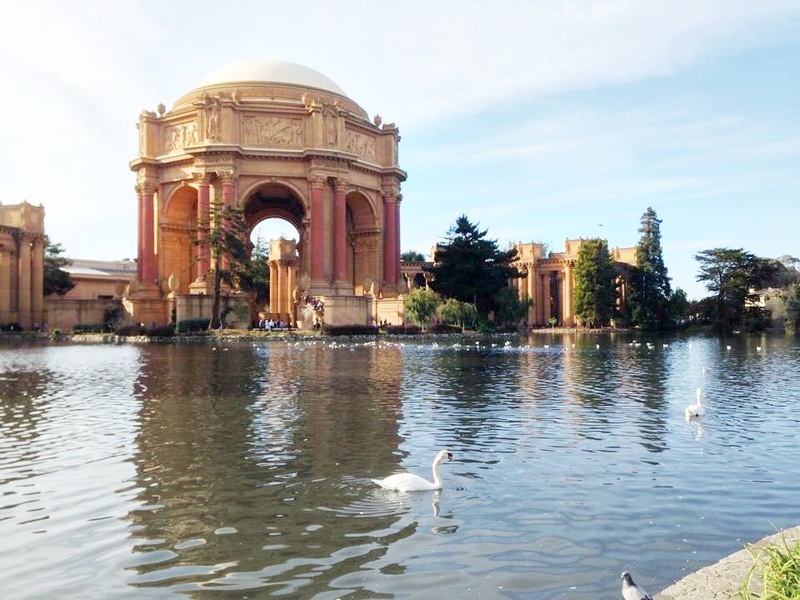 The Palace of Fine Arts was built for an exhibition in 1915, and has lived on as a calm and beautiful photo-op. It is just so unexpected in San Francisco, and I think it was this element of surprise that caught my eye the most. I highly recommend a walk around the Palace, and the pillars waiting to be climbed. This is also a great (and very popular) spot for wedding or engagement pictures! 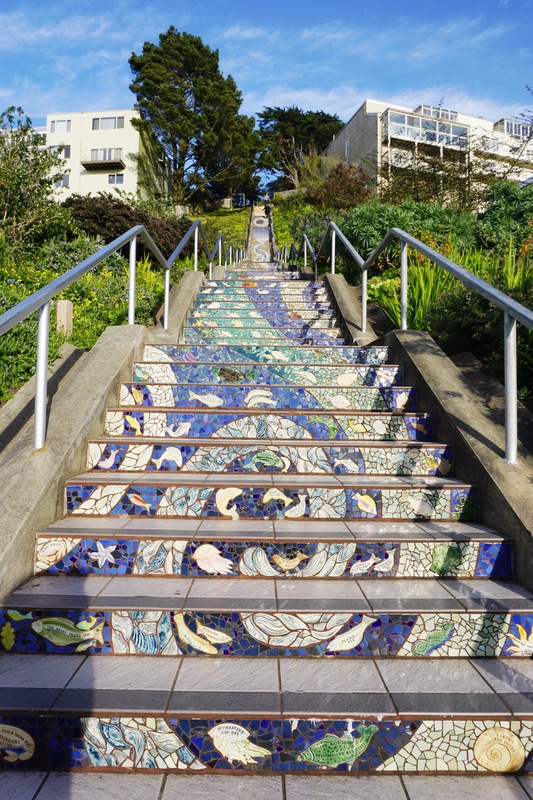 The 16th Avenue tiled steps was a community project to beautify the steps that run through this neighborhood. The effort is a stunning display of tiled art, and is definitely worth a visit. It’s easier of course to start at the top, and then work your way to the bottom, enjoying views of the Golden Gate bridge to your right, and the Sunset District of San Francisco below you. While walking down, make sure to pause and look back up at the beautiful effect of the tile work. I had the pleasure of visiting an exhibit in the SF MoMA this time, their restaurant In Situ. In Situ immediately attracted me with their modern, clean design, and innovative concept. In Situ brings to you dishes from famous chefs around the world, and sources the exact ingredients they would have used. It’s the perfect concept for a museum, where you go to sample the art of the outside world. Their menu keeps changing, but my favorite was the coconut carrot soup. The MoMA is a lovely way to spend a rainy afternoon in the city, and start off your visit with a meal at In Situ! SF is such a foodie paradise! Every time I visit, I try out a new place, and it’s just so hard to choose where to go! Of course, if you have a big group it narrows the list down considerably, since SF restaurants aren’t very group friendly. I especially love the Indian food here, since San Diego, though a fine city, is definitely lacking in the Indian food department. I was so excited to finally visit Dosa, and luckily it was worth the hype! It’s an upscale, trendy Indian Restaurant that serves various versions of the South Indian snack Dosa and some other yummy South Indian food too. 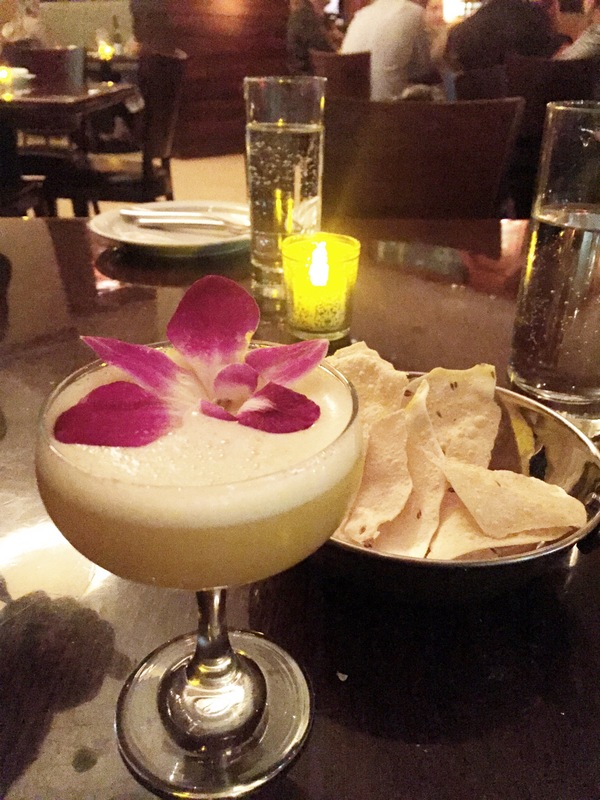 Their delicious cocktails have a unique Indian Twist, adding turmeric to a cocktail makes it feel so much healthier! The food is a bit on the spicy side, so make sure to order mild if you don’t like spice. There are two locations, we went to the one on Fillmore because it is open later. Overall, Dosa is a must try! I have heard really good things about August 1 Five as well (unfortunately we did not have time to eat there) so if you love Dosa or maybe cannot make it to Dosa, you could check this one out! This is a Pakistani restaurant in the Mission District, and we discovered it because we were looking for a place that would accommodate 10+ people. They don’t take reservations, but they were willing to join tables for us, and then served us the best butter chicken I have tasted this side of the Pacific. Pakwan is sort of the opposite of Dosa – it is an inexpensive, self-serve, byob, super casual restaurant, where you see locals bringing their beer and wine and enjoying some delicious food with it. If you eat here, I would recommend carrying your own silverware / plastic cups, because the utensils unfortunately did not meet my standards of cleanliness. Take out is also a good option for Pakwan, and Dolores Park is pretty close by if you prefer a dinner picnic on a summer evening. 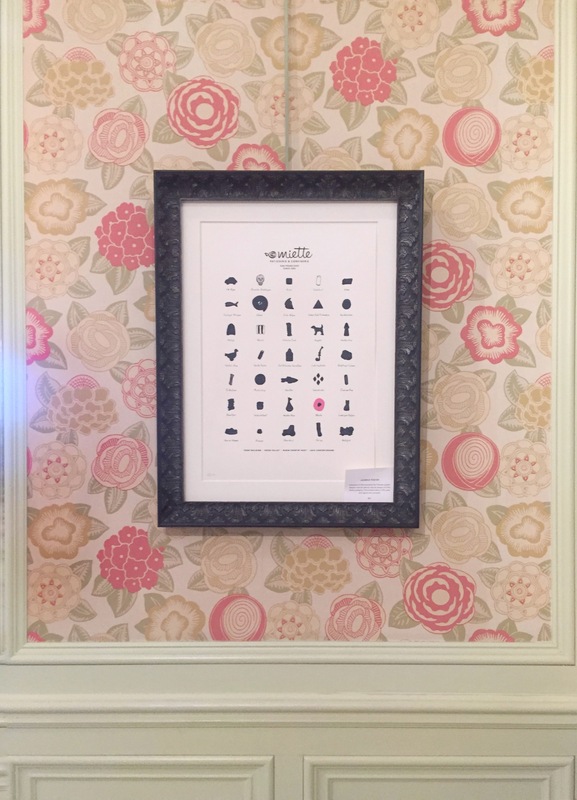 Piccino is an adorable Italian restaurant in Dogpatch, and is a must visit at least once. We went there for lunch, dinner there sounds delicious as well. I highly recommend their homemade foccacia bread, we could not get enough of it! Also what’s not to love about a restaurant in a yellow house? Across from City Lights Bookstore is this pub called Devil’s Acre. 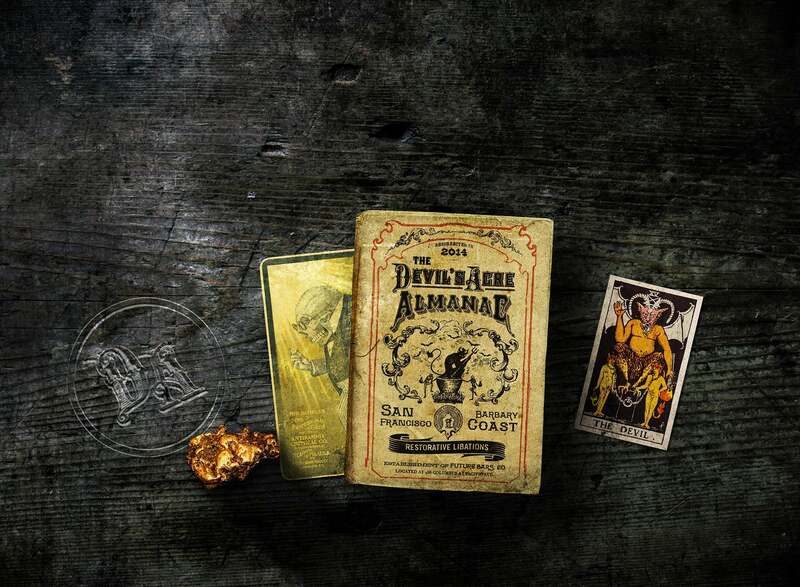 The interiors and the atmosphere are really cool, and their old fashioned has flecks of gold in it! I’d like to think it’s real gold, but you can form your own opinion about it. It’s fashioned like an olde apothecary and their motto is that medicine and alcohol aren’t that much different. They even have a hidden cavern style bar in the basement! Pay them a visit and see for yourself? Barbarossa Lounge is a really cool spot for after dinner or happy hour cocktails. My favorite part was that it is in a building that survived the 1906 earthquake! It has an old world charm to it, and the cocktails are delicious. I recommend Sophie’s Elixir. However, it does get crowded, so that takes away from the charm a little bit. Thank you to all my amazing friends in SF for showing us the local hang outs! 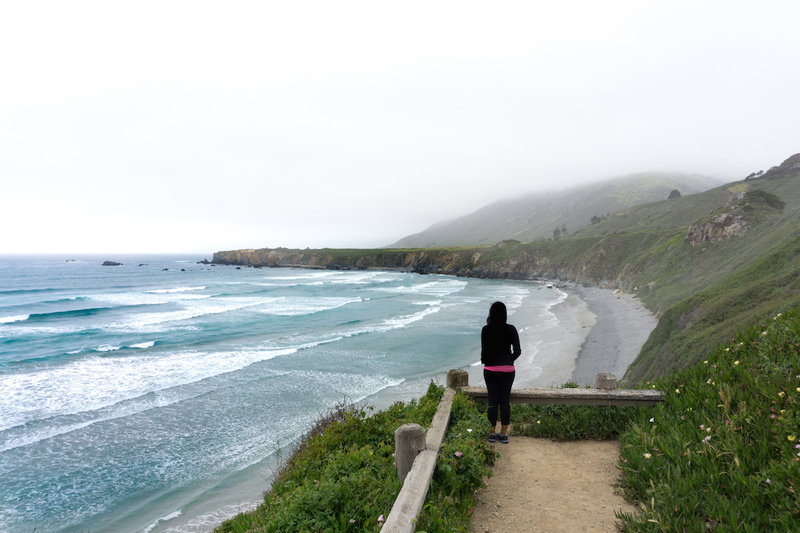 Also thank you to the blogs Pastels and Passports and Ckanani for helping me plan my most recent SF itinerary. These are just the few of the many gems that San Francisco has to offer, and I cannot wait to visit again and discover some more! Do you have any favorite spots in San Francisco? What would you recommend for my next trip? Can’t let Mel get into City Lights bookstore, he might never come out of it! Aww haha, I was kinda like that too! Great post Tanya! I live near SF too and love any post that shows off this gorgeous city. The floor at Mr Holmes Bakehouse is soo cute! Thanks for the compliment about my photos! Great information! We’re planning a California road trip in 2019. I live in Missouri, so it will be a long trip if we drive. We may fly, though. If we fly, we would start in California. The coffee shops look fun. I also don’t mind touristy things, so I would go see the houses. Thanks! 🙂 Hope you have an awesome California trip – let me know if you need any more information while planning!! Thanks!! 🙂 Hope you get to visit, it’s one of my favorite cities! What a lovely guide! So many awesome tips for a trip there! I always love visiting SF and was just there haha. I love walking through certain neighbourhoods like the Presidio (where i always stay!) and Nob Hill/Cow Hollow. I always see the Golden Gate Bridge and Mrs Doubtfire house here on every visit. Not sure why i do that everytime haha. Yes!! Definitely one of my favorite bakeries! Glad you like the list, there is always so much to see and do in SF! Great guide! Last time I was there I didn’t get to see much of the city beyond a quick guided walking tour of the Mission area – so I’m definitely saving this for my next trip!! Thank you!! Glad to hear that, hope you get to visit and experience the city again soon! Wow!San Francisco has so much to offer. I’m very interested in those cruffins now. The line outside the door makes it sound really intriguing. I have to visit SF soon! Thank you!! 🙂 Hope you get to visit soon!! Bi-rite Creamery is so amazing. What flavors did you try? Oh we haven’t tried that flavor yet. We’ll give it a go next time we see it at Bi-Rite.